Final Fantasy VII is deep in the hearts of many gamers. For a lot of gamers, it's something that marked an important period of video game stories and visuals, making people demand a remake for a long time. If you've owned a PSP or were a fan of the series, you also probably know of (and have maybe even played) Crisis Core: Final Fantasy VII, which acts as the highly regarded prequel to the beloved Final Fantasy VII game. My many articles about various Final Fantasy games show that my love for the series, although unlike most fans, my experience with VII is kind of low. Crisis Core was the game that got me back into portable gaming, which involved me being convinced into borrowing my friend's PSP to play half of it because as a Final Fantasy fan, he thought I needed to play it. Playing Final Fantasy VII has been on my gaming 'to play' list (and in my Steam library) for a long time, although I have seen the movie, albeit a long time ago. With these facts, it seems unlikely that I would review a fan novelization of a Final Fantasy VII game. However, as a fan of Final Fantasy, reading and the promise of an alternative ending that possibly wouldn't the real ending, when I was asked if I wanted to review Team Wingless' novelization of the game, I decided it could be an interesting ride. Team Wingless' Crisis Core novel delves deeper into the story of the Crisis Core game than I remember. The novel's version of the story was inspired by the writer's feelings towards the PSP game's ending, but it takes on more than just the ending. The story adds depth to many of the characters and adds emotional details that weren't explored. Although the story follows it's source material, the new layer of exploration and character developed allowed in the novel world gives the story a new depth. Partnered with the polished writing, the novel reminded me of other game's novelizations that I read and really took the original story to a new place. 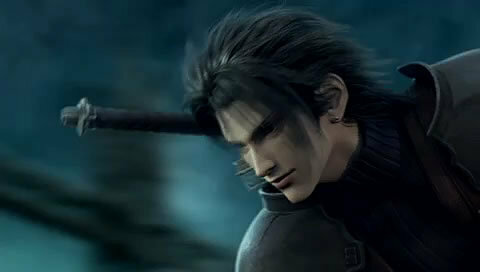 Like the game, the story revolves predominately around the game's protagonist, Zack Fair. Well known by his mentor Angeal and his teammates at SOLDIER to be as enthusiastic as a small puppy, his main goal is to become a hero. He begins at SOLDIER as a 2nd Class SOLDIER, but his goal is always to get to the top, like a hero. The story doesn't just cover his journey to reach his goals though, as Zack's journey is littered with hardships, romance and moments that will force him to grow, as both a SOLDIER and as a person. The universe of the Crisis Core novel is as players of the game would remembered: it's based around the same area and universe, with locations and certain key story events being easily recognizable. The world, however, feels different thanks to the effort put into fleshing out each character's perception of all parts of the story - of relationships, of locations, of SOLDIER, everything. The story's world just feels deeper now that gameplay time has been replaced with character and world developing moments. These include priceless moments of Zack interacting with his teammates, getting to know important characters like Angeal and Sephiroth more deeply through private conversations and getting to know Aerith on a much more personal level. On the topic of the story's deep characterizations and additional story elements, because there is more time to develop side characters and romances, I was surprised by the changes to some characters. On one hand, there is Zack who is portrayed very much as boy his age and the fun personality that is shown in the game is explored much further, but he still feels like the Zack I played as in the game. On the other hand, I didn't expect myself to feel a dislike towards certain important characters in the story, including Aerith. Her innocence and gentle personality initially was what I perceived her as from the game, however the way her character evolves seems to be a little more selfish, unable to understand Zack's position and job properly for some reason. This is coming from someone who hasn't played Final Fantasy VII but I was definitely surprised at quite a few of her reactions to Zack's life and decisions and because this side of her was shown more, I couldn't understand her, let alone Zack's feelings of unconditional love towards her at times. 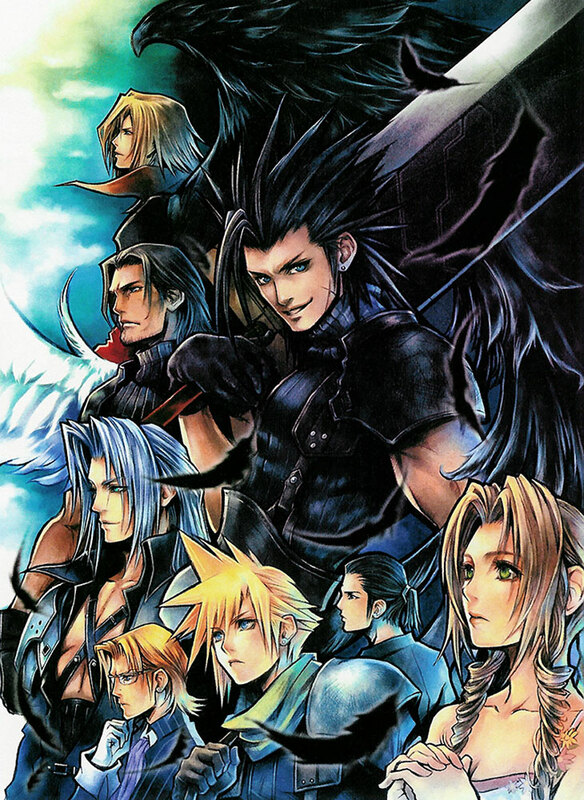 In contrast to this, characters that were more faithfully followed like Angeal and even Sephiroth helped heighten the story's important points and reading about Zack's feelings towards them as his superiors were some of the emotional highlights of the story. One of the things the writer of the story excels at is giving great descriptions of feelings, action scenes and subtle character traits. The reason the world feels so deep is the way the weight of each Zack's emotion is portrayed. For Zack in particular, we feel the weight of his joys, of his heartbreak and of his loss through his emotively written internal monologues, which makes it easy to follow his development as a character and the decisions affecting the world around him. 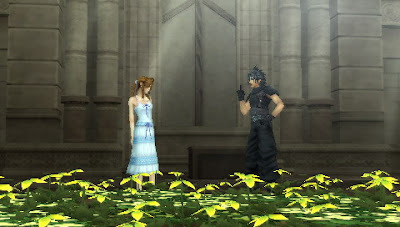 In the game, his feeling's were mostly displayed in dialogue or visuals, but in the fan-novel, feeling his heartbreak colours the world with his thoughts and emotions, adding to the rich feeling of the story's world. A small thing that did sometimes take me out of my immersion in the world's feelings and developments however, was the decision to include of real world media and brand. This included the mention of Zack enjoying bands and mentioning songs, brands and music from the real world. While such a small thing like this doesn't affect my overall opinion of the story, after all the great world building made by the story's internal monologues and time spent on fleshing out events, the mention of things from outside of the world of Final Fantasy VII was sometimes guilty of taking me out of the story. It's a small thing, but I felt it affect me in multiple chapters. Above all an enjoyable read, Team Wingless' novel's take on Crisis Core is as much as it's own story as it is faithful to the original PSP game. The exploration of the close relationships between characters heightens each of the moments players will remembers and adds an interested take on the world with it's additional moments. While this novel works very well as a novel, Team Wingless' fanfiction.net profile suggests interest in turning this into an RPGmaker style game. I definitely support this idea, as if done well the world building events partnered with gameplay elements would make for a strong, story driven experience. But for now, for those who's interest was taken by the idea of an alternative and deep version of the Crisis Core universe, I recommend giving it a try. You can read the first two chapters of Team Wingless' Final Fantasy 7 Crisis Core: The Novel at the Team Wingless website or the full version at fanfiction.net. Are you interested in revisiting the Crisis Core world? Leave it in the comments below and start a discussion! Note: In the interest of transparency, this novel was asked to be reviewed. However, all thoughts and views expressed here are entirely my own and not influenced by the creators or any other outside parties or incentives. Honesty all the way! Photo note: all photos are not my own in this post! They are sourced from the wikia page for Final Fantasy VII Crisis Core and are art or screenshots from or based around the original Square Enix game.